Coffee is so much more than JUST coffee! And the story isn't a simple one, relegated to one-dimensional facts or assembly line details. Instead, the narrative of coffee is a complicated,often beautiful, tale that can't be summed up with words like fair trade, organic, or sustainable. Yes, these descriptors are helpful and serve as a sort of book-jacket summary for a particular coffee. But the journey from coffee tree to coffee cup is - to me - too good to summarize,an epic disgraced by a quick glance. Why? Because at its heart, coffee is about people, from the doggedly determined coffee farmer and his family to the dedicated importer who meticulously seeks out the perfect bean, to you, meeting your friend for a latte and conversation. Coffee is, and always will be, rooted in humanity. It's this human narrative that first sparked our love of coffee and compelled us to start what is now Fika Coffee. Our personal coffee story has very humble beginnings, akin to a brilliant idea scrawled on a table napkin. A roaster, some family land, a few faithful coffee drinking friends, and a handful of wholesale accounts outline the first chapter of who we are.Five years later, in June of 2016, we officially opened our retail store in Lutsen, Minnesota and while that marked an enormous milestone for us, we like to think our journey has only begun. OUR ASSUMPTION SINCE DAY ONE IS THAT OUR CUSTOMERS CARE ASMUCH ABOUT THE HUMANNESS OF COFFEE AS WE DO. Perhaps it's a bold assumption and certainly we are willing to recognize that sometimes people just want a cup of coffee because they want a cup of coffee. But, as the days and months and lattes go by, we are finding that many customers want more than just a nameless cup of French roast. They want to know the whole story: Who are the farmers and the families who work alongside them? What does a coffee tree even look like and how does terrain affect taste? They, like us, want to get at the heart of coffee. It goes without saying, though, that this is not always an easy task. All of the coffee that we brew is imported from countries as far away as Africa and only as near as Central America. It's not as if we can just hop in a car and take a load of interested customers down the road to the local coffee farm. Though we sincerely wish we could! Fortunately, and as a best-case alternative, we work with coffee importers who are dedicated to the personal side of coffee. People are the motivation behind everything our importers do. Take Caf� Imports, for example. One of their core company values is to 'increase the quality of life for those involved -- from the tree to the cup -- through the commerce of coffee.' 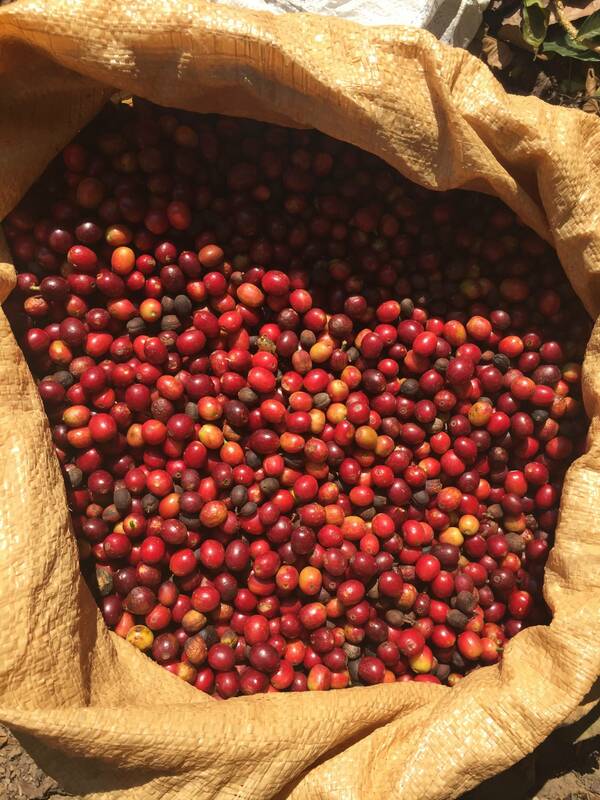 Based in Minneapolis, Minnesota,Caf� Imports strives 'to bring to market the highest quality green coffees in the world by sourcing, developing, and innovating at origin, while empowering farmers with price, traceability, and long-term partnerships.' In other words,they want great coffee and really good lives for the farmers who grow it. But an importer (or a roaster or a consumer, for that matter) who wants great coffee and good lives for those who produce it can't stay stateside and separate. They can't ensure quality, for the coffee or the people, from inside an office building 3,000miles away from the harvester hunched over in a grove of coffee trees. At origin is a term thrown around in coffee circles and means, simply, to visit the place where the coffee is grown. Many importers, like Caf� Imports, have wisely made traveling to origin a regular part of how they do business. Going to the farms, meeting the farmers, cupping new lots, and being present at FTOCooperatives (Fair Trade Organic coops where farmers bring bagged parchment[washed, dried, and unhulled coffee beans] to be milled a final time and ultimately sold)--all these things help ensure ideals are being upheld. In 2017, about a year after our shop opened, we had the privilege of traveling to origin on a roaster's trip to Jaltenango, Chiapas, Mexico organized by Caf� Imports. Able to lend perspective about the people, the coffee, and everything in between, traveling to origin offered an experience and an insight that influences everything we do from our roasting practices to our customer service. Mexican Dark Roast is one of our most popular coffees for wholesale and shop use alike. Because we roast this coffee in 20 pound increments, week after week, it's all too easy to view it only as a commodity, letting its intrinsic value fall away with the chaff as the roaster churns. Without the perspective gained by our trip, we'd be hard pressed to see anything other than a hopper full of beans changing from pale green to umber. Instead, when we roast this rich coffee, we see the rugged landscape of rural Mexico, the coffee farms cloaked in mountain fog and a table, stretched across the room, where people who had very little in common only a moment before, sat and shared an evening, a meal... everything they had. Coffee goes beyond just coffee when you've shared a meal (and an accordion tune or two) with the farmer who grew it. Onyx Coffee, based in Bellingham, WA is another example of an importer whose business ethic extends beyond the four walls of their office. Fiercely dedicated to the people of Guatemala, Onyx strives 'to connect producers of the finest Guatemalan coffees to quality driven roasters around the world.' Founder Edwin Martinez and his team, both in the United States and in Guatemala, have forged strong relationships with the workers who grow, harvest, wash, and dry every bean they purchase not just because they care about good coffee but because they care about the people of Guatemala. In early 2016, while the tile for our new shop was being laid, we had the immense privilege of traveling with Onyx Coffee to Guatemala on our first trip to origin. We had high hopes and expectations for the trip but our actual experience, though exactly what we expected in some ways, was so much richer and more beautiful than we could have ever imagined. It was a trip that changed the very way we view coffee. The family farms where our Guatemalan coffee is grown sit approximately three hours outside of Huehuetengo, a city of about 80,000 where Onyx's Central American operations are based. We spent a few days in the city, cupping new lots, touring facilities, and meeting many of the people who are part of the good work Onyx is doing. These first few energetic days would have been experience enough and we knew it. But as we climbed into the back of a small Toyota truck, finding a comfortable seat between sacks of food supplies and crates of eggs, and watched the city disappear, we sensed that what lay ahead was why we'd come. Switchback after switchback along a two-track trail led us to the top of the valley known as Hoja Blanca. This valley comprises the family farms that grow some of the coffee Onyx imports. When we first saw the valley with its impossibly green landscape of coffee trees and the roofs of every small house covered with perfectly raked rows of drying beans, our hearts swelled with love for the people of Guatemala. Immediately, we wanted to help, to be of service, to somehow make their lives easier, their labor less, their burden lighter. We wanted to crouch down with the harvesters and pick coffee cherries until our fingers blistered. But these people, these farmers and harvesters, their wives and children and grandchildren, they didn't need our help. They were experts, masters of their craft, artists in their own right. Our help, to them, would be on par with a customer coming to our store, jumping behind the counter and snatching the portafilter from our hand while saying, "We love you and we're here to help." No offense, but we wouldn't like that one bit. Not because we don't love you right back but because we know what we're doing and you might not. No, the farmers of Guatemala didn't need Fika Coffee to help harvest coffee cherries. Instead, just as we are pleased to greet our customers with a hearty hello, a stellar latte, and a cardamom roll, these folks wanted to welcome us to their village with stories and laughter, with meals and accommodations, with the very best of what they had. And that's exactly what they did. While in Huehuetenango, we stayed in the home of Aurelio Villatoro, farm manager of the Hoja Blanca valley farms. His wife prepared all our meals which we enjoyed family-style with members of their immediate and extended family. We laughed together ,learned a tremendous amount about coffee and farming and who the people behind a cup of Guatemalan coffee really are. If we were outsiders, they didn't let on but instead, made us feel like distant relatives, visiting for the weekend. Our overnight in the valley was also spent with Aurelio's family, in their small house tucked amongst the other farmer's homes.We again shared a meal, good stories, and a glimpse of what life in a valley of coffee trees was really like. Come nightfall, when the fog rolled in to usher Hoja Blanca into a sleepy hush, we said good night and slept in their beds while they graciously, and without so much as a second thought, slept on the kitchen floor. Friends, these are the coffee farmers of Guatemala and Mexico. These are the people behind the cup of coffee you hold in your hand. Earlier, we mentioned that this trip to origin changed the way we view coffee. But this is an understatement. In both cases, we returned to our small shop on the shore of Lake Superior with a new understanding of coffee as a tremendous tool for forging community. On a day to day basis, community typically means those in our immediate vicinity--our employees, customers, neighbors, families. But when we package up a pound of roasted beans for a customer or take a picture of impressive latte-art for our Instagram feed, we best realize that the farmers who grow our coffee, the harvesters who hand pick it, the children they come home to at night, these people are no less a part of our community then our own children. We are all connected, we humans. And while this has always been true, coffee has given us the lens with which to truly see it. Yes, coffee was the catalyst for our trips to both Mexico and Guatemala. And at face value, it was also the reason that the folks in both countries shared their accommodations, food, music, and lives so generously with us. But face value is often false and here is no exception. The kindness we were shown on our trips to origin had nothing to do with coffee. The stories, the accordion player, the meals, the kitchen floor--all of these things are examples of us being loved by the people of Mexico and Guatemala not because we roast their coffee but because they wanted to love us, out of a motive based solely on friendship, comradery, humanity. We may have arrived in these countries as Fika Coffee from Minnesota, but we left as friends of some pretty remarkable folks. In 2018, we plan to visit Burundi, Africa on an origin trip with Long Miles Coffee. We hope to return from there with more stories to remind us, and all those who will stop to listen, that coffee is more than a beverage. Able to transcend the confines of borders, languages, age, religion, race, and any other divisive description thrown its way, coffee is common ground for a world so desperately in need of common ground. and, of course, at Fika Coffee in Lutsen, Minnesota. Stop by and fika with us. We'd be honored to tell you a story or two and even more honored if you'd share one with us.